The Nimatic Mixer Trolley is ideal for those who want a transportable mixer unit. 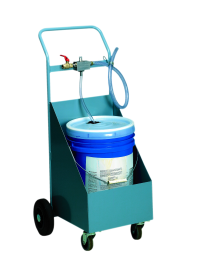 With the Nimatic Mixer Trolley you have the all-in-one solution - the Nimatic Emulsion Mixer and the additive liquid placed on a smooth-running trolley. The Trolley makes it easy to get around where the space is narrow. Even steps are easily forced. The additive liquid is safely stored in the metal trolley. 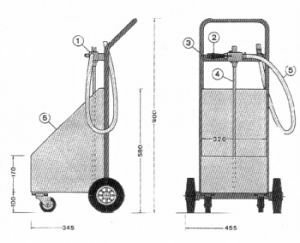 This unit is also ideal for mixing soap water.